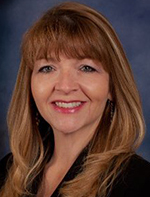 STERLING HEIGHTS —Tricia Nielsen-Rawlins has been named marketing manager of Brown & Brown of Detroit. With nearly 30 years in the insurance industry, Nielsen-Rawlins will be responsible for all new business marketing, high profile renewals, and carrier relations. Previously, she most recently worked at Arthur J. Gallagher & Co., as branch client services director. Nielsen-Rawlins has also worked for Lake Agency Inc., Wells Fargo Insurance Services, and Saginaw Bay Underwriters. Nielsen-Rawlins, of Clinton Township, earned a degree in business administration and marketing from the University of New Mexico.